The days are long, the silhouettes are flowy, and live music fills the air. Festival season is upon us! But depending on the fest, you might want to play around with different looks. Whether your favorite weekend revolves around food, music, or art, festivals are a great time to show off your personal style—and maybe even take a fashion risk or two. Scroll on to see our favorite festival looks to help get you inspired for your upcoming summer events. 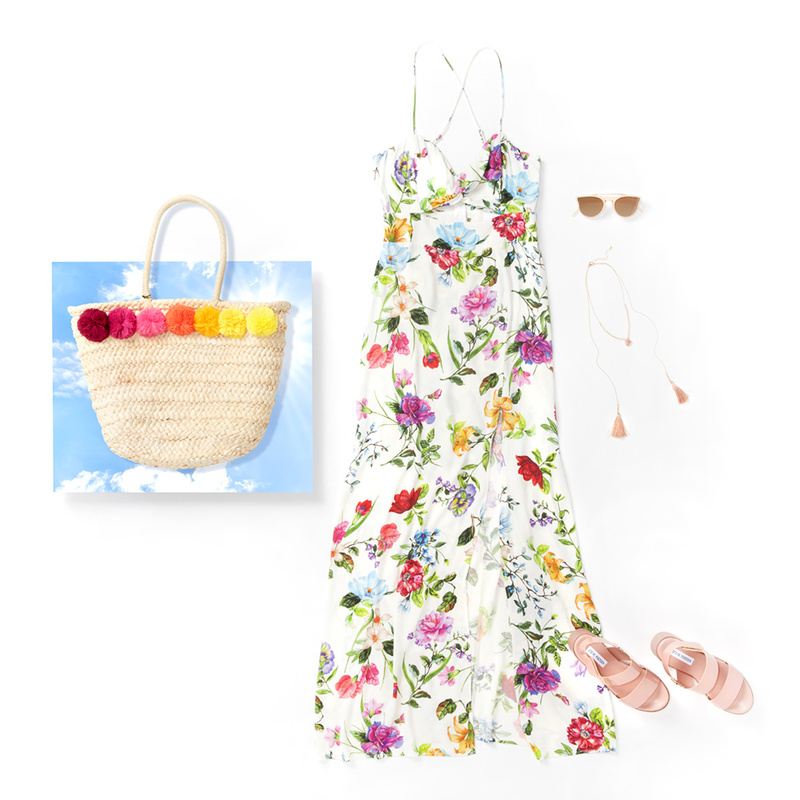 A bright, breezy dress is a great way to keep cool and look cute. Pair your maxi with platform sandals to comfortably add height and create the appearance of longer legs. Finish the look off with sunglasses and sleek accessories like a layered necklace. For the ultimate fuss-free look, begin with a romper as your base. Then layer on the cool-girl vibes with practical pieces like comfortable espadrille sneakers, a belt-bag to help keep hands free, and a hat to protect you from the sun. 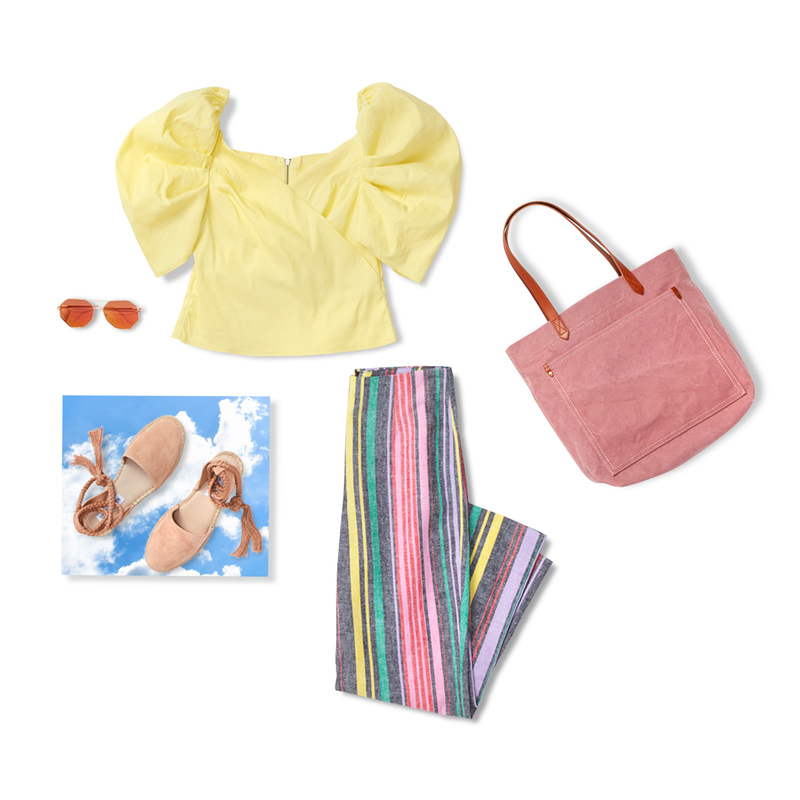 If your festival style is more of a mix between trendy and feminine, keep it fresh in a top with a unique silhouette and lightweight pants in whimsical colors. 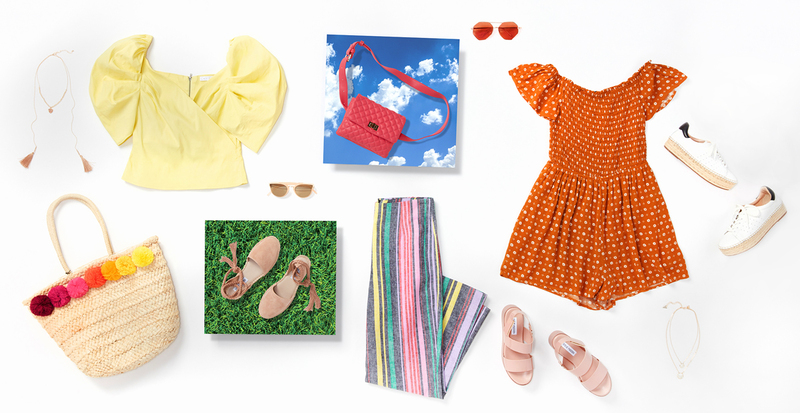 Paired with comfortable shoes and unique sunnies, this outfit is one you’ll want to repeat all summer long.